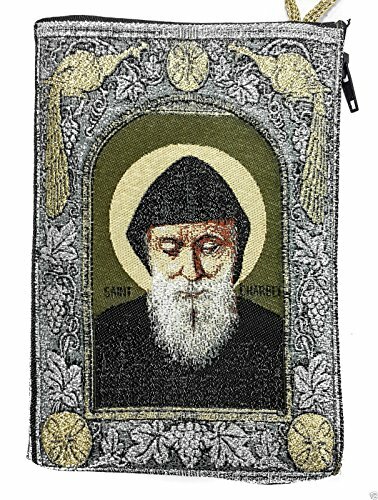 This beautiful tapestry pouch is pictured Saint ST Charbel Makhluf on both sides . This icon pouch, lined with a zipper for closing, is perfect as a rosary or prayer rope case. This beautiful tapestry pouch is pictured Saint ST Charbel Makhluf on both sides. This icon pouch, lined with a zipper for closing, is perfect as a rosary or prayer rope case.